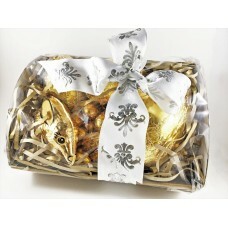 For a touch of elegance, give the Pure Gold Hamper Tray this Easter. 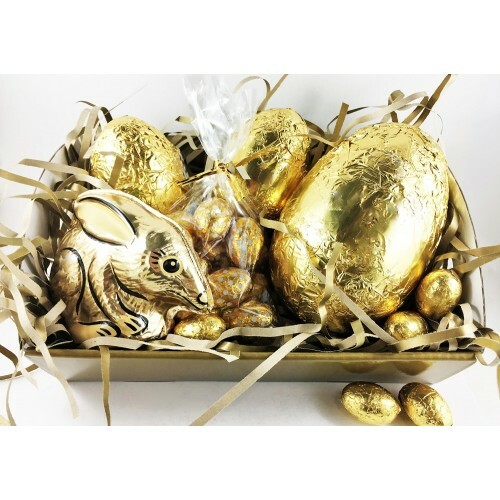 Containing a gold foiled Bilby, 100g egg, 2 x 40g eggs, a bag of Caramel mini eggs and sprinkling of solid mini eggs all made from smooth milk chocolate. 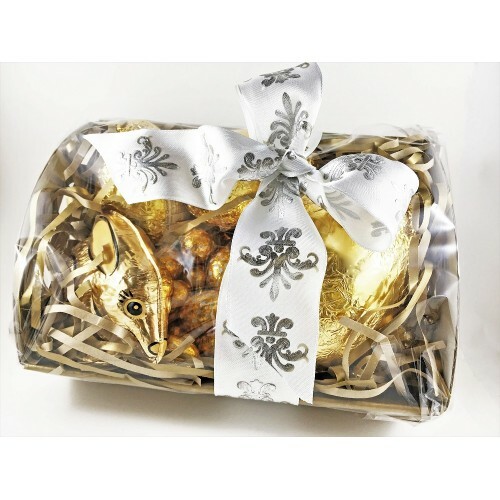 Finished with a regal bow, it's a beautiful gift to give this Easter.